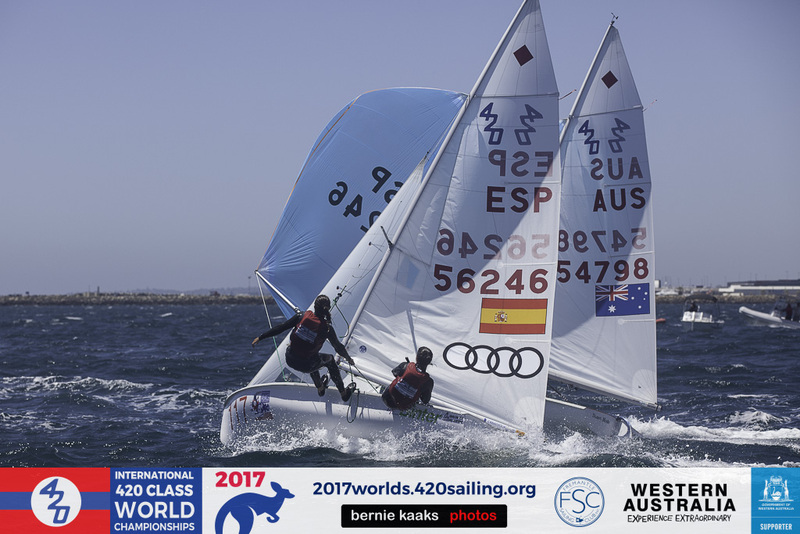 Spain reigned Supreme as the 2017 420 World Championships drew to a close today, 3 January 2018, in Fremantle, Australia having secured gold, silver and bronze in the 420 Open Fleet and gold in the U17 fleet. 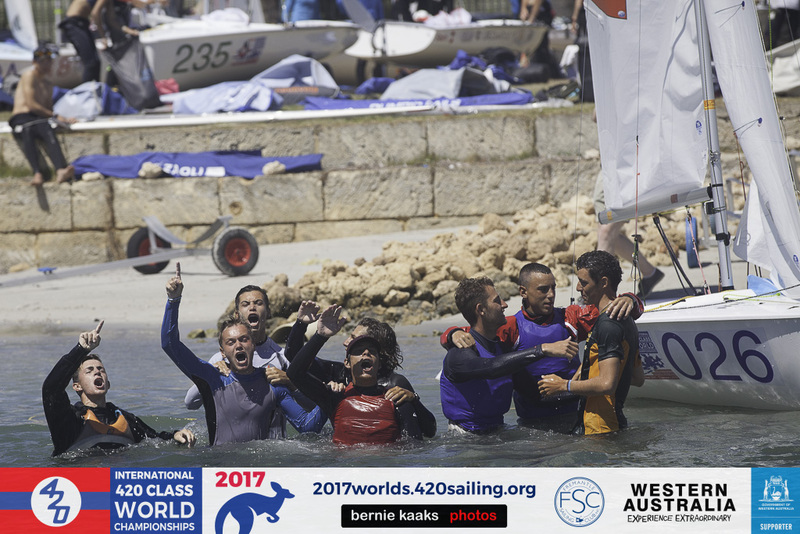 The final race of the 420 Open Worlds underlined the dominance of Spain’s team in the 420 World Championships, but with some twists and turns. 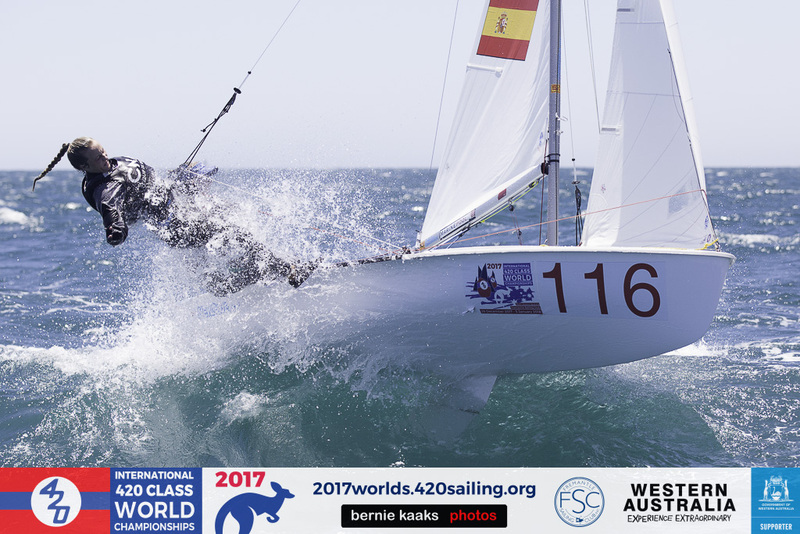 Overnight leaders Carlos Balaguer and Antoni Massanet put themselves under pressure with a 13th placing in the penultimate race. A general recall in the last race forced a re-start under black flag conditions and in its anxiety to win the start the team was over the line early and disqualified. The mistake was costly, moving them down to third. Brothers Enrique and Pablo Lujan took full advantage of the situation, with first and third placings on the last day to wrap up the world title by seven points. Albert Torres and Francisco Mulet consolidate their second place to make it a remarkable one-two-three for Spain. 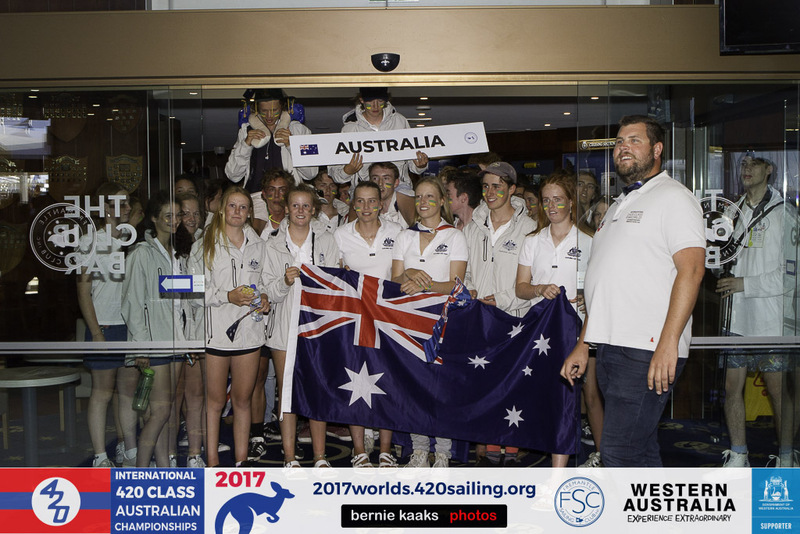 It was a fitting result for the team, who were dominant throughout the regatta, which was run by Fremantle Sailing Club in fresh conditions. Italian and French teams showed glimpses of individual brilliance but not the consistency of the Spaniards. 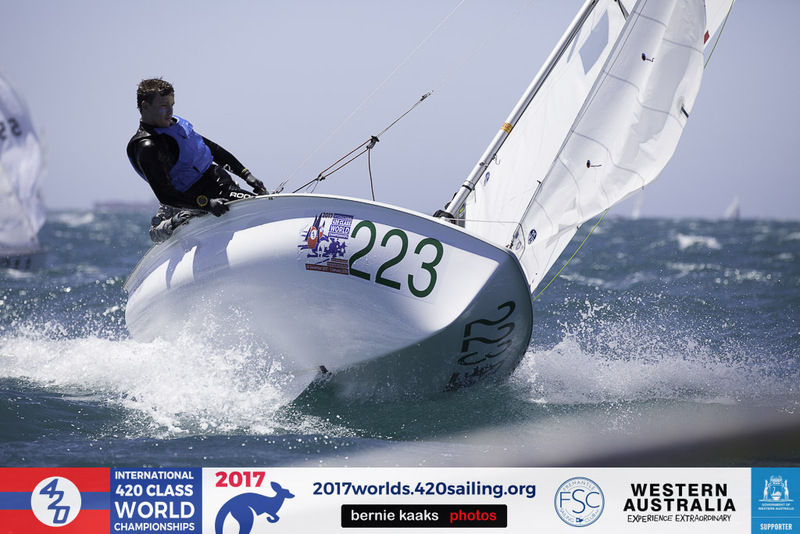 Australia’s Chris Charlwood and Josh Dawson led the points table early, but lost a race due to gear failure, which meant that all completed races had to count in their score. A disastrous 27th on the second last day virtually snuffed out their campaign for a world title. 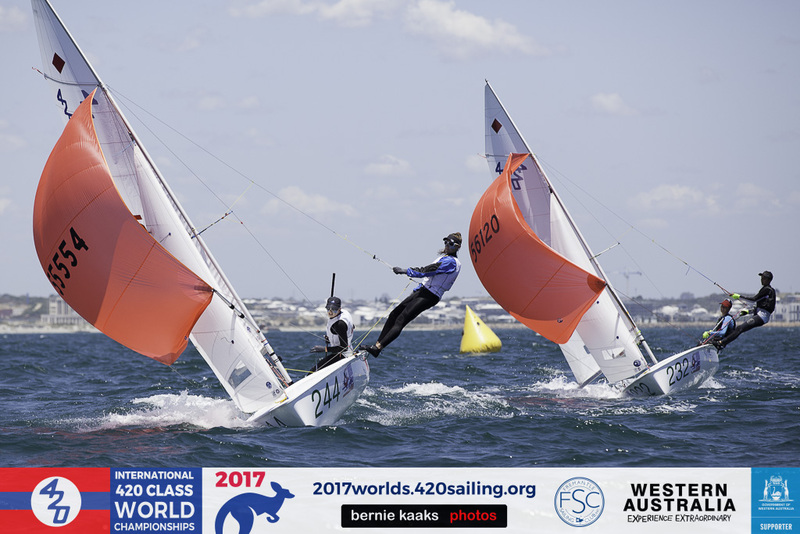 As well as being awarded gold medals and the International 420 Class Challenge Cup for winning the 420 World Championships, Enrique Lujan and Pablo Lujan also claimed the John Merricks Trophy as the top performing team aged 18 years and under. The William Sanchez Trophy was presented to Greece’s Telis Athanasopoulos Yogo and Dimitris Tassios as the top placed team aged 16 and under. Australia’s top two crews in the Ladies division were separated by a mere three points prior to the last day. Leaders Nia Jerwood and Monique de Vries scored a win in the first race of the last day, but Victorians Laura Harding and Ellie Grimshaw were second, keeping the pressure on. 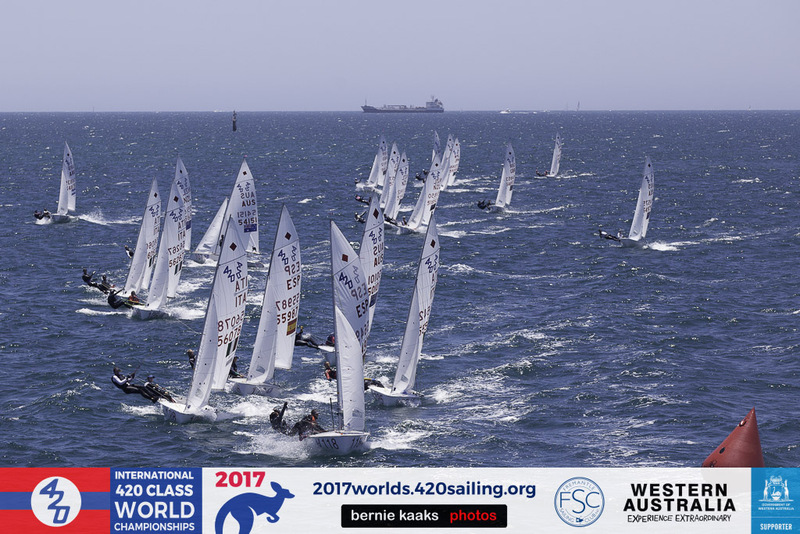 The leaders started poorly in the final race and found themselves battling for a top ten spot while the Victorians were third in the middle stages of the race. Victorians Sophie Jackson and Laura Thomson bolted away from the field to score their first win of the series. The Brazilian crew put in their best performance with a second place and Harding and Grimshaw were fourth. 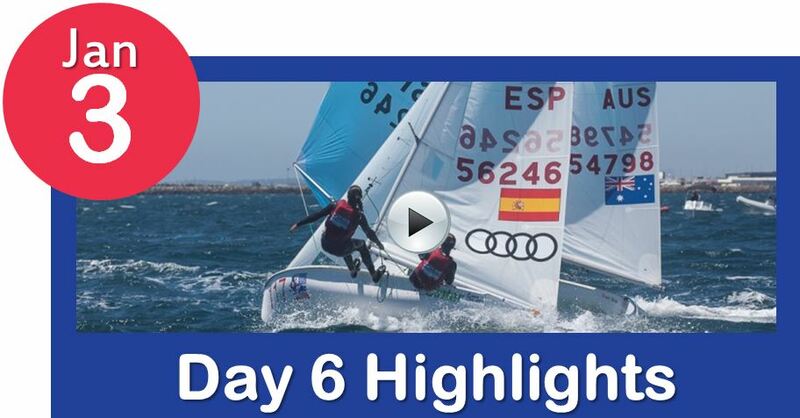 All eyes were now on Jerwood and de Vries, who were dicing with Spain’s Maria and Pilar Caba for seventh place. In a spirited charge for the line the Australians defended their position well to score a seventh place, which earned them a tie with the Victorians and victory on a countback. The subdued return of boats to shore was a good indication of the uncertainty that surrounded their final position. 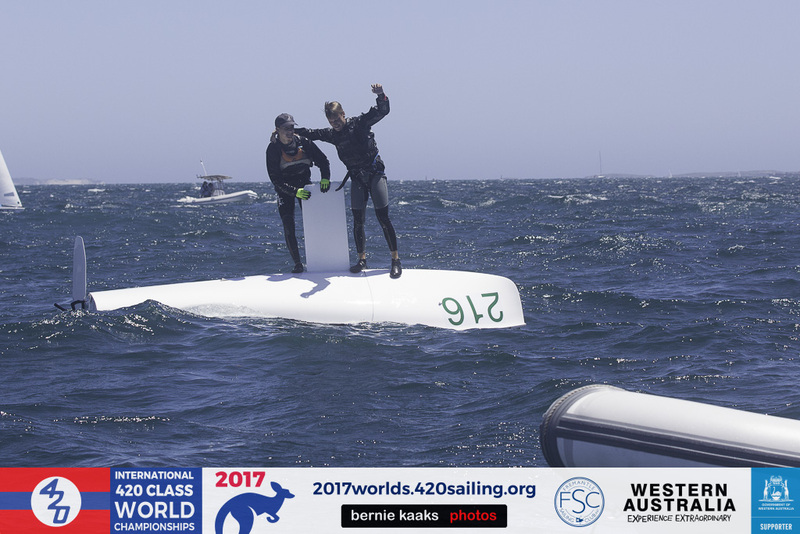 As 2017 420 Ladies World Champions Nia Jerwood/Monique Devries were awarded gold medals and the International 420 Class Ladies World Championship Challenge Cup. Silver medallists, Australia’s Laura Harding/Eleanor Grimshaw were also presented with the John Merricks Trophy as the top performing team aged 18 and under. The William Sanchez Trophy for the top placed team aged 16 and under went to Italy’s Arianna Forelli and Jana Germani. If the girls were subdued, the same could not be said of the Under 17 division, where the winners were greeted by an ecstatic coach and deliberately capsized their boat a few metres after the finish line in celebration. Martin Wizner and Pedro Ameneiro started the series with some unfortunate results and appeared on the leader board after winning three successive races. With two second places on the last day the boys finished three points clear of early leaders, Italians Tommaso Cilli and Bruno Mantero. Demetrio Sposato and Gabriele Centrone were third. Greece’s Ariadni-Paraskevi Spanaki and Myrto Papadopoulou upgraded on their silver medal in the U17 420 Ladies Junior European Championship back in August 2017, to finish as the top placed girls’ team in 8th overall and become 2017 420 Ladies U17 World Champions. Italy’s Carlotta Scodnik/Camilla Scodnik were the 2nd best placed girls team in 11th overall, and one place behind in 12th overall were the 3rd placed girls’ team Sophie Mosegaard and Samira Rast of Switzerland. The Huck Scott Memorial Trophy was presented to the girls team of Chihiro Aoyama and Ruka Tahara representing Japan, who aged 14 years and 13 years respectively were the youngest team competing across all the fleets at the 420 World Championship. 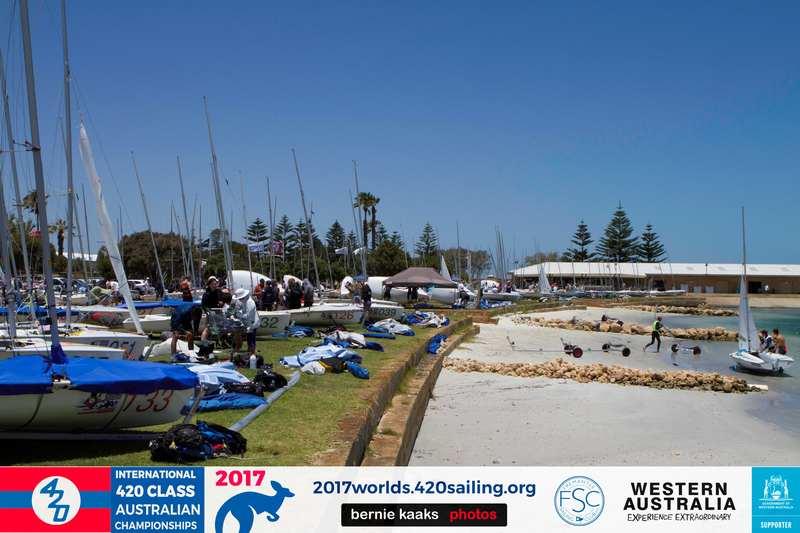 Thanks to all the teams of on and off water volunteers and staff at the Fremantle Sailing Club for hosting the 2017 420 World Championship. Photos and Videos will be available on the 420 Facebook, 420 YouTube and Championship Video Galleries. 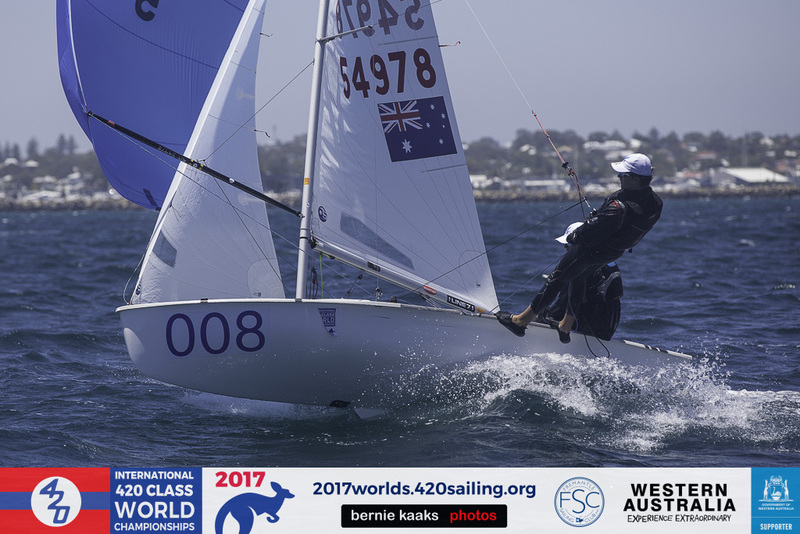 The 2017 420 World, Ladies World and U17 World Championships, 26 December 2017-3 January 2018, is hosted at Fremantle Sailing Club, Perth, Australia.288 sailors from 18 nations are competing, with 64 boats in the 420 Open fleet, 39 in the 420 Ladies and 41 in the U17. 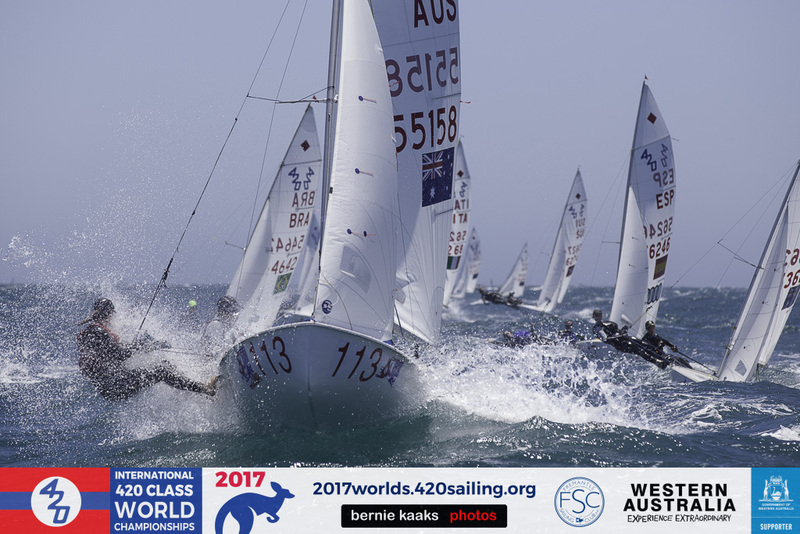 The 420 Open teams are split into two fleets for a 6 race qualification series and 6 race final series, with a single race discard coming into play after race three. 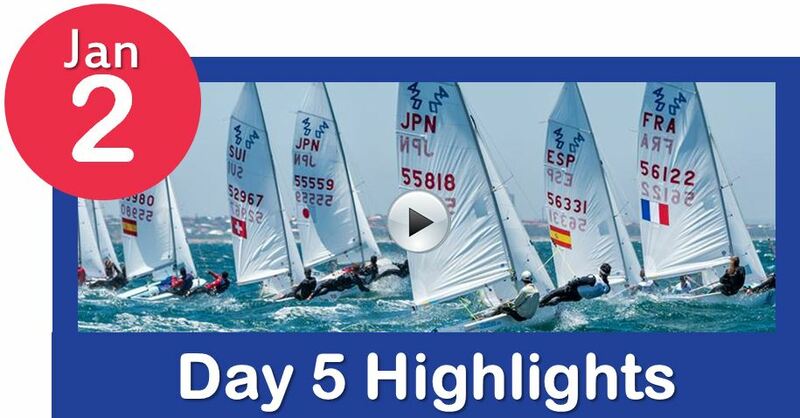 Teams contesting the Ladies and U17 World Championships race a single series of 12 races. 144 teams from Argentina, Australia, Brazil, Czech Republic, Denmark, France, Great Britain, Germany, Greece, Italy, Japan, Korea, New Zealand, Poland, Spain, Switzerland, Sweden and Turkey are competing.